It’s not to late to fill your house with LOVE-ly, seasonal pillows. 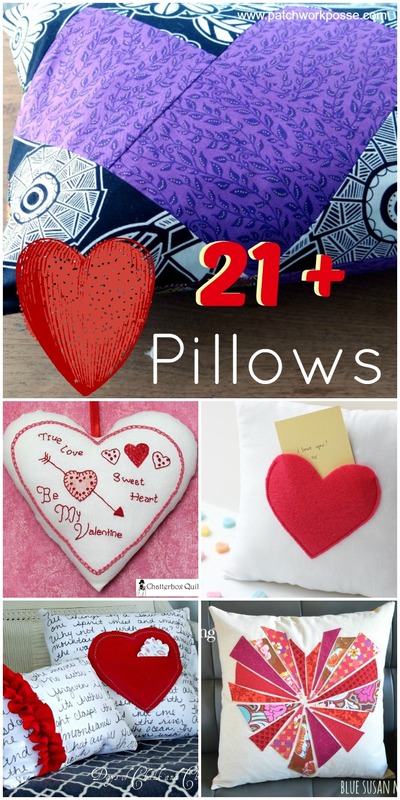 There’s plenty of time to sew up a Valentine’s Day pillow and add a bit of sweetness to your home decor. Whether you’re into patchwork, embroidery, or pom poms, there’s sure to be something you’ll love in this great round up of heart pillow tutorials.